McAllen City Commissioner John Ingram. 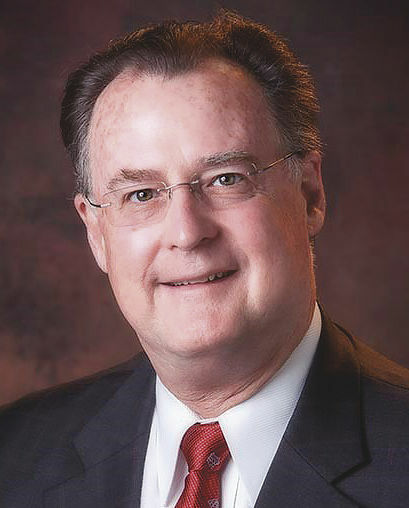 McALLEN — District 5 City Commissioner John Ingram filed for re-election on Wednesday, the only person to officially submit their name for the May ballot. Commissioners Veronica Whitacre and Aida Ramirez are also up this election cycle. Whitacre launched her re-election for her District 6 seat earlier this week and said she plans to formally file her candidacy with the city secretary’s office soon, while Ramirez has not indicated whether or not she will run for a District 4 re-election. Wednesday was the first day candidates could formally submit documentation to seek office in the May 4 election. Feb. 15 is the last day for candidates to file. Ingram, known to be an agitator at times on the commission, plans to conduct a grassroots campaign as he has in the past by block-walking throughout the district. Ingram said he plans to continue running on the issues he has supported in the past, such as transparency and fiscal responsibility. Over the last four years, Ingram has fiercely argued repeatedly with nearly every city commissioner, as well as City Manager Roel “Roy” Rodriguez. Ingram railed against an ordinance proposal in 2016 when city staff recommended an amendment that would limit the city auditor’s investigating power. Ingram believed that was limiting transparency, he said at the time. The most notable public feud on the commission in recent years has been between Ingram and Whitacre, having argued at numerous commission meetings and workshops. Whitacre was the former director of a local nonprofit that received funding assistance from the city. Ingram believed Whitacre holding both positions was an abuse of power, and that she should relinquish one of them. City commissioners mostly sided with Ingram when commissioners voted to withhold city funds from the nonprofit. Whitacre eventually resigned from the entity in question. When Rodriguez was hired as city manager in 2014, Ingram wasn’t so sure about Rodriguez, as well as some of Rodriguez’s early decisions, such as the eventual firing of the former city auditor. But Rodriguez earned Ingram’s respect over the last two years, Ingram has said, and there was a visible turning point in 2017 when Ingram staunchly defended Rodriguez at a budget workshop to a pair of freshmen commissioners. The city manager later admitted he was pleased but surprised, and didn’t know why Ingram was so publicly defensive of Rodriguez. Ingram has since publicly defended some of Rodriguez’s decisions. But no candidate running for office in McAllen in recent elections has been successful by publicly attacking Rodriguez and city hall. Ingram said in an interview that he doesn’t know if he’ll have a challenge this cycle: “I don’t know; I haven’t heard much.” In 2015, he fended off a challenge from businessman Eli Olivarez by a tally of 902 votes to 470. While Ingram has previously indicated he may not run for office after this term, he said that it’s hard to know at the moment how he’ll feel in four years. Ingram was first elected in 2005 when he ran for a seat vacated by Ric Godinez once Godinez stepped down to unsuccessfully run for mayor against Richard Cortez.